For more than 20 years, Dr. Michael “Mike” Firouzian has delivered personalized and compassionate dental care to patients of all ages through his general and cosmetic dentistry practice in central Ohio. Dr. Mike and his team at Firouzian Dentistry are known for their collective commitment to providing a lifetime of care and for promoting a culture of patient comfort and satisfaction that is unique in the marketplace. There is no such thing as a “routine” visit to Firouzian Dentistry. From the very first hour-long consultation where new visitors receive a full evaluation for everything from high blood pressure to airway functionality, Cosmetic dentist Dr. Mike and his dedicated staff don’t see patients as simply what’s inside their mouths. Dr. Mike takes very seriously his commitment and responsibility to ensuring his patients are holistically healthy and not simply possess clean teeth. As a result, Dr. Mike is constantly seeking dental solutions to chronic issues like TMJ, obstructive sleep apnea and treatments of head and neck pain (including migraines). Dr. Mike also regularly collaborates with medical specialists such as cardiologists, pulmonologists, neurologists, allergists, ENT’s, and others to ensure he’s providing truly comprehensive care. Dr. Mike is a cosmetic dentist with a tireless drive to ensure he’s educated on the latest dental techniques started with a B.S. in Microbiology from the Ohio State University in 1987 and his D.D.S. in 1991. He also completed advanced training in general dentistry at the University of Florida College of Dentistry in 1992, where he also served as a clinical instructor. Since then, over 1700 hours of continuing education make him one of the nation’s most highly trained cosmetic dentists. Dr. Mike holds fellowships with the Academy of General Dentistry and the International College of Craniomandibular Orthopedics as well as the Las Vegas Institute for Advanced Dental Studies. He has also been named a Top 3 Dentist in Columbus, is a contributor to Real Self and serves as an expert in dental care with media in his home market. In June 2018, Dr. Firouzian was named a Fellow in the International Congress of Oral Implantologists (ICOI). This honor is only bestowed on dentists who demonstrate both a high degree of training and clinical excellence in the dental implant procedure. To receive this honor, candidates must verify at least 75 hours of continuing education (CE) credits focused on dental implants, and document either 10 full cases (surgery and restoration) or 20 partial cases (surgery or restoration). Five of these cases must be thoroughly documented so they can be evaluated by dental implant experts to prove that they meet the rigorous standards of the ICOI. When you see the initials FICOI after a dentist’s name, it is true evidence that a dentist is a genuine expert in dental implants. He utilizes his premier education to provide a wide range of general and cosmetic dentistry care, including orthodontics, dental implants, veneers and full mouth reconstructions. In addition, cosmetic dentist Dr. Mike and his team specialize in more advanced and specialized treatments including reconstructive dentistry for those who have suffered trauma, addressing neuromuscular imbalances, bite and jaw alignment correction through restorative dentistry and management of obstructive sleep apnea (OSA) and its precursor, upper airway resistance syndrome (UARS) in both adults and children through various non-surgical techniques such as mandibular advancement devices (MADs), orthodontics, and restorative dentistry. His entire clinical team works to evaluate and treat patients with physiologic and mercury-free dentistry, including removing harmful amalgam fillings and replacing them with healthier, more natural materials. Dr. Firouzian is also a contributor on Real Self. Read some of his most popular answers to dental questions. Core I – Occlusal disease. Core II – Aesthetic design. Core III – Aesthetic restoration. Core IV – Neuromuscular dentistry. Core V — Smile makeover. Ortho I – Modern orthodontics. Implant I – Dental Implants. K7 – Jaw tracking for TMJ. Facial Beauty Institute Orthodontic Training Program. Dr. Rod Strickland – FOY® Dentures Course 1 & 2. Rondeau Seminars – Orthodontics for General Practitioners. 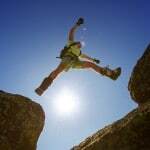 Mini-Residency – TMJ and Sleep Therapy Research. 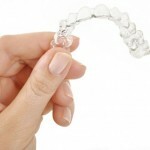 Invisalign Certification – Align Technology. 16th Annual B. Jankelson Memorial Lecture Forum – International. Implant Logistics hands-on surgical training. Are you looking for a versatile cosmetic dentist in Columbus? 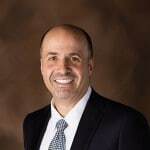 Dr. Mike Firouzian has an extensive background in many different areas of cosmetic dentistry, combining outstanding training, decades of experience, a remarkable talent as a cosmetic dentist, and a genuine compassion for his patients. He’s one of the most highly trained dentists not just in Columbus, or Ohio, but in the nation, and he’s been recognized for it by some of the leading dental organizations in the world. If you are looking to find the best cosmetic dentist, we invite you to look at Dr. Firouzian’s credentials, the outstanding results in his before and after gallery, and the glowing testimonials from his patients. We think you’ll agree that Dr. Firouzian should be at the top of your list. Please call (614) 848-5001 today for an appointment.